Resurfacing may be done on the hip, shoulder, or knee joints. Cartilage is the protective surface of your joint. It allows smooth movement and cushions the bone. Damaged cartilage can limit joint movement and make it painful to do even basic movements. 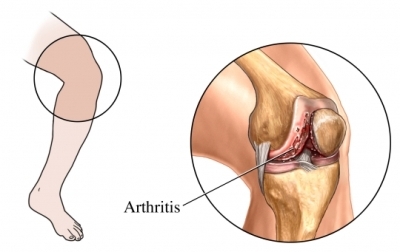 Osteoarthritis is the most common cause of this damage. It is the gradual wear and tear of joints over time. Less often, the damage is due to a trauma. If other treatment options, have failed to improve function or pain. First line options include medicine, joint injections, and physical therapy. If pain limits your activities and affects your quality of life. A partial replacement tends to have less recovery time than a total hip or knee replacement. However, it is not appropriate for all people. Widespread joint damage may require a total joint replacement. The ligaments of the joint will also need to be intact. The area of the joint that is not repaired can still wear down. It may lead to additional surgery in the future. Before surgery, you may need to have a physical exam. This will help identify any risk factors for surgery. Talk to your doctor about your medicine. You may be asked to stop taking some medications up to two weeks before the procedure. An incision will be made along the joint. Muscles, tendons, and ligaments will be carefully moved aside. The surgeon will move the joint to get access to the damaged area. The entire joint will be inspected. If damage is widespread the partial replacement may not be done. Your surgeon will talk to you before the surgery about the possibility of a total joint replacement. Damaged cartilage will be removed from the area and smoothed down. Any excess build-up of bone will also be removed. A metal cap will be placed over the newly cleaned surface. It is often held in with cement. A metal cup or plastic surface will be placed on the opposite joint surface. (May not be done for shoulder surgery.) A plastic disc may be placed between the 2 new surfaces to help it glide smoothly. The muscles and tendons will then be moved back into place. The incision will be closed. A bandage may be placed over the incision. Anesthesia will prevent pain during surgery. Your knee will be painful in the first few days after surgery. Pain and discomfort can be managed with medicine. Managing pain will help your body heal faster. The hospital stay is usually about 1-4 days. If you have any problems, you may need to stay longer. Some may go home on the same day as surgery. You will be encouraged to put weight on your leg soon after surgery. Physical therapy will help you get started. This therapy will help to regain the range of motion and strength of the joint. The therapist will also help you understand how to use a walker, cane, or crutches. You may need a walker, crutches, or cane to help you walk. The devices will help support your joint until you feel able to walk on your own. The length of time you need assistance will depend on the joint, how much work is done, and your overall health. It may take about 6 weeks before you can fully return to normal activity. Your return to work will depend on the physical needs of your job. Elective total hip arthroplasty. EBSCO DynaMed website. Available at: http://www.dynamed.com/topics/dmp~AN~T566765/Elective-total-hip-arthroplasty . Updated July 3, 2018. Accessed April 21, 2018. Osteoarthritis of the knee. EBSCO DynaMed Plus website. Available at: https://www.dynamed.com/topics/dmp~AN~T116897/Osteoarthritis-OA-of-the-knee . Updated March 15, 2018. Accessed April 21, 2018. Shoulder joint replacement. Ortho Info—American Academy of Orthopaedic Surgeons website. Available at: http://orthoinfo.aaos.org/topic.cfm?topic=A00094. Updated December 2011. Accessed November 10, 2017. Unicompartmental knee replacement. Ortho Info—American Academy of Orthopaedic Surgeons website. Available at: https://orthoinfo.aaos.org/en/treatment/unicompartmental-knee-replacement. Updated April 2016. Accessed April 21, 2018.